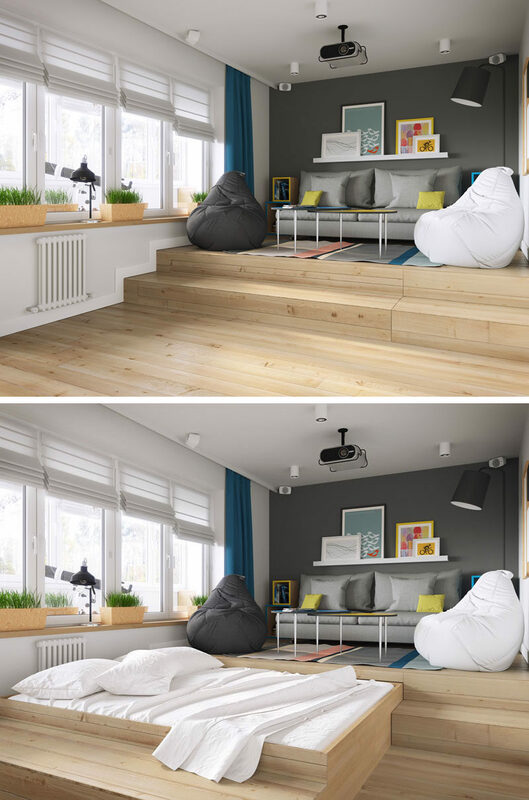 Design firm Geometrium have created a concept design for a small apartment that didn’t have a separate bedroom. To overcome the issue of not having a dedicated bedroom, they raised one end of the living room to create a space to fit a bed underneath. 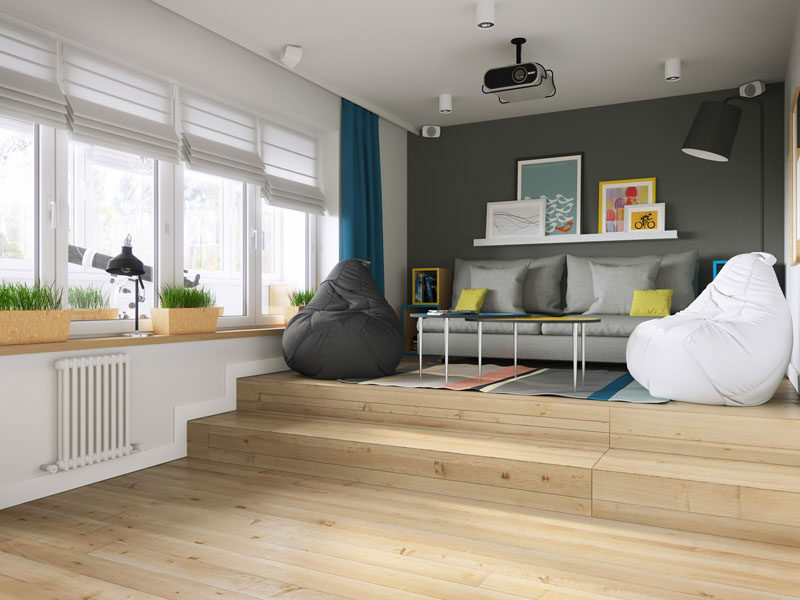 By raising up the living area, they were able to fit a bed within the steps. During the day or when guests are over, the bed can slide back under the raised area and be hidden.